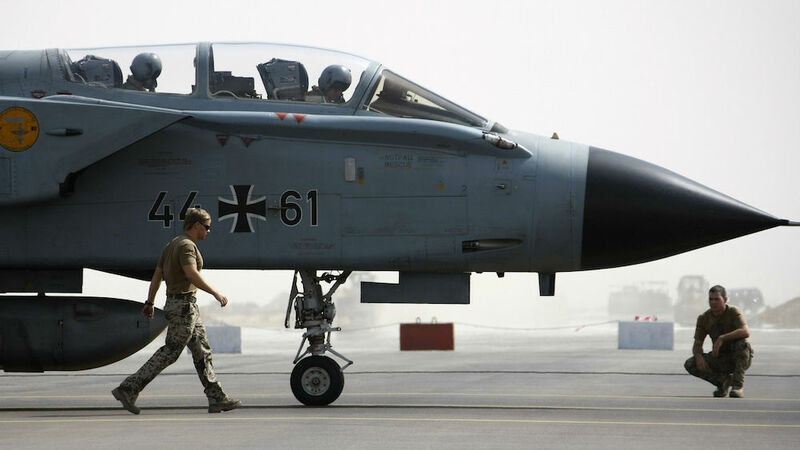 Why Germany is engaging in France’s war against the so-called Islamic State. Germans don’t much believe in waging war. Yet when French President Francois Hollande called on Germany to help fight IS in Syria, Angela Merkel was quick to agree. This time Germany really moved quickly. Only one day after French President Francois Hollande asked Chancellor Angela Merkel for military help against the so-called “Islamic State” (IS) in Syria, the Berlin government came back with a substantial package. German soldiers will not attack IS directly, but they will provide intelligence and logistics to make France’s bombing attacks more effective. And while German officials still do not want to speak of a war, it’s clear that this is going to be a serious combat mission. This turnaround for a nation so deeply skeptical of war is remarkable, yet there are compelling reasons for Germany’s military engagement: with the threat of terrorism ever more present, the German government has come to believe that IS needs to be dealt with militarily. At the same time, Germany’s historic bonds with France put it under particular obligation after the terrorist attacks of November 13. The Bundeswehr will send a frigate to protect France’s aircraft carrier, the Charles de Gaulle, in the eastern Mediterranean. It will also provide up to six specially equipped Tornado airplanes to help identify bombing targets, and a German tanker aircraft will help French planes to gas up mid-air. In total, the Syria effort will involve about 1,200 soldiers, making it the country’s biggest mission abroad. Further afield, Germany will backfill for France in Mali, sending an additional 650 soldiers to help control the dangerous north of the country. Finally, it will increase the number of German soldiers active in training and equipping Kurdish fighters in northern Iraq from 100 to 150. Altogether, this amounts to a serious effort. The new missions are dangerous: German pilots could be shot down over Syria, while German soldiers could be ambushed in Mali. At the same time, joining the alliance against IS is likely to make Germany an even more attractive target for Islamist terrorists. There are skeptics – and not just amongst the opposition parties, but also within Merkel’s coalition. How effective will the mission be, given that the United States has been bombing the Islamists in Syria and Iraq for 15 months without tangible results? Will the West be drawn into deploying ground troops? And does it have any kind of exit strategy? In the absence of a clear UN mandate, there are also doubts about the legal basis for the intervention. The fight against IS might force the West to come to an agreement with Syria’s Bashar al-Assad, a ruthless dictator responsible for killing at least 200,000 of his citizens since 2011. Popular support for Germany’s new mission is shaky at best. A poll published in late November showed 47 percent in favor and 46 percent against the proposed Syria mission. This lukewarm support could quickly deteriorate further if German soldiers are killed, or if German reconnaissance errors lead to civilian casualties in Syria. All of this is, of course, perfectly well known to the chancellor and her advisers. In her ten years in power, Angela Merkel has always been extremely reluctant to engage in military missions. In 2011, she refused to join the alliance led by France and Britain that toppled Libya’s dictator Muammar al-Gaddafi. Merkel’s decision on Libya caused enormous strain within Europe and NATO, yet Merkel stood firm. The outcome of the Libyan campaign – a failed state dangerously close to Europe – seems to have proven her right. Just as importantly, Merkel and her government are conscious of what it would mean to disappoint France’s expectations. Franco-German relations remain the most important anchor for European integration. Given the trouble that Europe is currently in, Germany simply cannot afford to let its closest ally down. The euro crisis has left bitter resentment against Germany; so has the refugee crisis. In Britain, polls show that the anti-EU camp might actually win the referendum on EU membership. And just look at how pleased the new Polish government is with itself for doing away with the EU flag at its press conferences. In all of this, Merkel and Hollande have made huge – and astonishingly successful – efforts to keep up a united front. That would certainly have been blown to bits if Germany had failed to respond to France’s call for help after the terrorist attacks. If IS had managed to sow dissent between Paris and Berlin, its November 13 attacks would have marked an important strategic victory. Upholding the Franco-German relationship, and with it, a chance to put Europe back on a more even keel, is the single most important argument for Germany’s new military mission. is a freelance journalist based in Berlin. She writes on foreign and security policy and EU affairs.